Kirsty wraps herself in her Raincoat & Sunglasses, blending in to the crowd. As yet another failed relationship crashes down around her, she wonders if true love does exist. But just when it all seems hopeless a new work project and a new hairdresser have her dreaming about love again. Jennifer throws on her Raincoat & Sunglasses as she races to the school gates. But as her youngest daughter starts school her world suddenly seems empty. Where has her purpose gone? More to the point, where is her joy? As she picks up her paintbrush, she glimpses the possibility of a new career path. Will a new purpose restore her joy? Paul can't understand women's fascination with bland Raincoats & Sunglasses. He also can't understand why he's feeling so unsettled. Desperate to regain peace, he questions whether being a senior stylist at a prestigious salon is enough. But Paul has to deal with more than just questions about his career when a tall, beautiful woman walks into the salon in her Raincoat & Sunglasses. 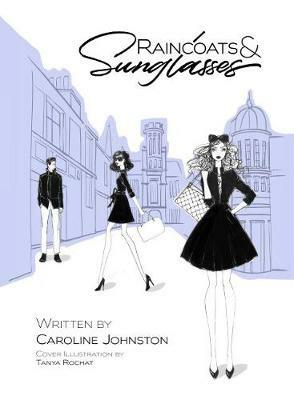 Join Kirsty, Jennifer and Paul as their lives intertwine around faith and Raincoats & Sunglasses.